Collective consciousness—a collective mind and collective sensation—is the key for balance and harmony with our increasingly interdependent human society, as well as with nature on all of its other levels: still, vegetative and animate. Today, the need for our realization of collective consciousness is more important than ever before. We have been developing toward the need for realizing collective consciousness over the generations, and today the need is expressed as accumulating crises on a global scale. 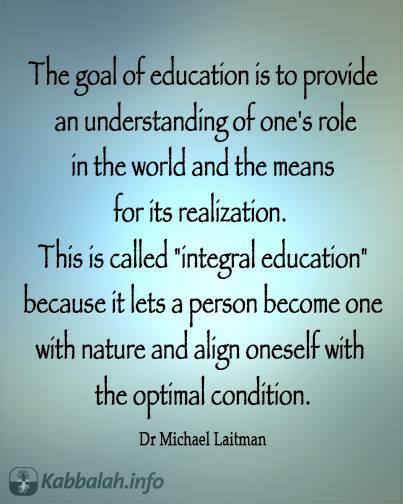 To make the transformation from our individual perception, sensation and awareness to collective consciousness, we require a new form of education that can guide us on how to positively connect in an increasingly interdependent world. What Is the Difference Between Collective Unconscious and Collective Consciousness? 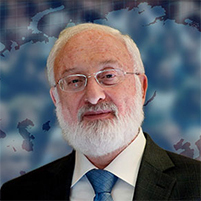 What Is the Collective Mind from the Viewpoint of the Wisdom of Kabbalah? Where Is My “Self” in Relation to Collective Consciousness? How Can We Expand Our Consciousness? We are all parts of a collective network that binds us, however we fail to have conscious awareness, perception and sensation of this network. If we would, then we would see a completely different world and society than we do today. Gaining consciousness of this network is a developmental process that has been taking place over the generations. Scientists, philosophers and other researchers have long considered nature as a single whole. The very idea that we emerged from a single point, which continually expands, strengthens the concept of the universe’s and nature’s oneness. When we examine nature, we see clear laws in operation. If we fail to see these laws completely, either on macro or micro scales, it merely reflects our incomplete knowledge and perception. The more we discover about nature, the more we discover its absolute interconnectedness and interdependence. 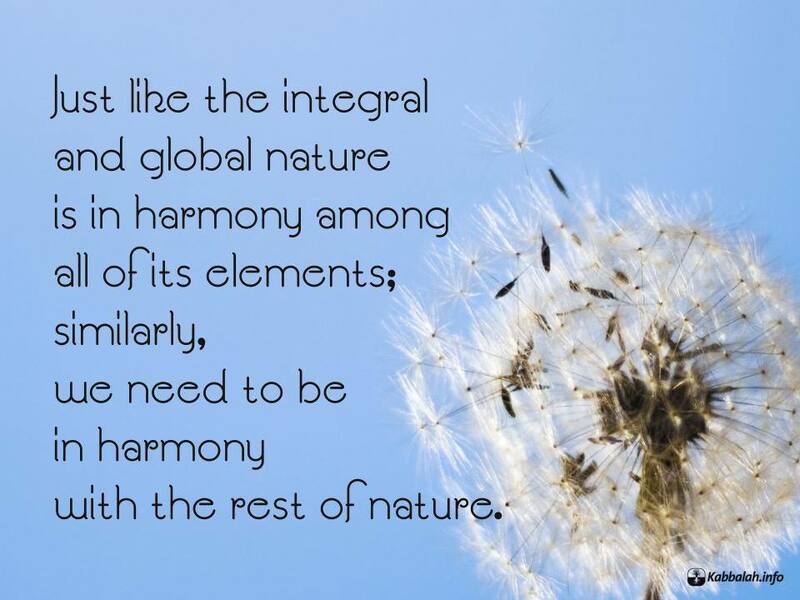 Interconnection and interdependence exist on all of nature’s levels: still, vegetative, animate and human. Individual and society are no exception. We are products of nature. We didn’t create ourselves, even though many of us like to consider ourselves as independent. Instead, the more we develop, the more we discover laws guiding our development, showing us more and more of nature’s interconnectedness and interdependence on still, vegetative, animate and human levels. Moreover, today, the global interdependence of the most qualitative and developed part of nature—the human part—is being revealed. 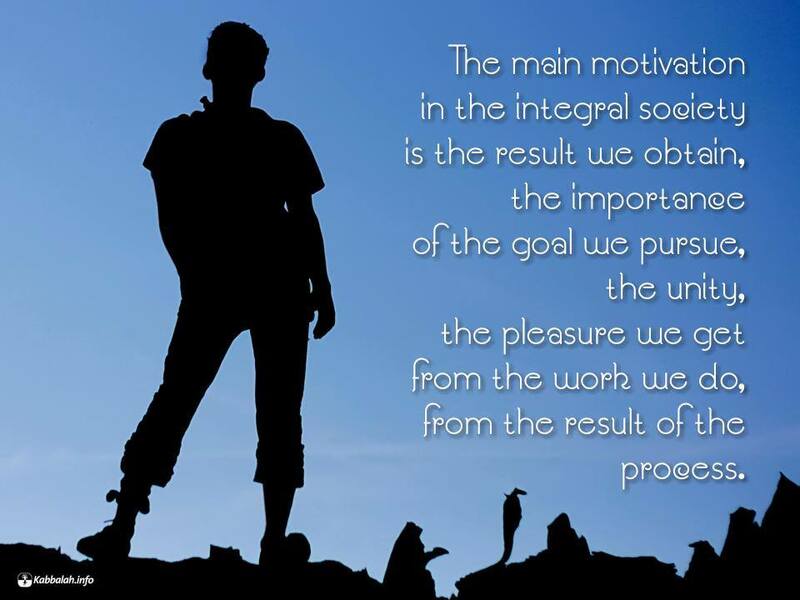 The global network of human society we’re seeing more and more of today is so interconnected and interdependent that, if we could somehow look at it from the side, we would see the impossibility of anyone making any independent motion in this system. Everything is included with absolute precision in this one program of evolution that shows us the absolute interdependence between us and, as we discover it, we understand that we are included within it and that requires us to act accordingly. According to physics, an observer of an event taking place either in outer space or within the microcosm brings the observer into that event, which thus changes the event itself. Such a phenomenon also testifies to the total dependence between the various levels, in this case, between the human and the still levels of nature. We have discovered this interconnected and interdependent network gradually over the generations, and its very discovery is part of our development. How does this work? It works such that the moment we discover this network, we must correspond to it. Otherwise, the degree of our imbalance with the network is the degree we differ from and oppose nature, and to that degree, we experience all kinds of problems. This is the cause of a general global crisis taking place in every field of human experience today: personally, socially, globally, economically and ecologically. Therefore, for the first time in history, we have reached a multi-scale global crisis, which has intensified over the last few decades. Around 50 years ago, members of the Club of Rome began perceiving an oncoming crisis upon which they published various articles. Since then, the crisis has seeped into every aspect of human experience, with increasing pressure, conflict, stress, anxiety and insecurity that has resulted in rising amounts of depression, loneliness, drug abuse, suicide, crime, divorce, mental illness, terrorism, economic inequality and many other negative phenomena. The problem is that we have entered into a new, interconnected and interdependent system, yet we continue trying to act as the same self-centered beings we were in the past, and thus we are not balancing ourselves with the new conditions nature presents to us. At this juncture, changes need to take place in us as people. Until such a transformation will take place, the crisis will continue to worsen. Therefore, we live in an era of a great dilemma: on one hand, we discover our global interconnectedness and interdependence more and more, yet on the other hand, we fail to understand how much we differ from and oppose it. The question thus arises, how can we begin to match the degree of interconnectedness and interdependence we are revealing in nature? 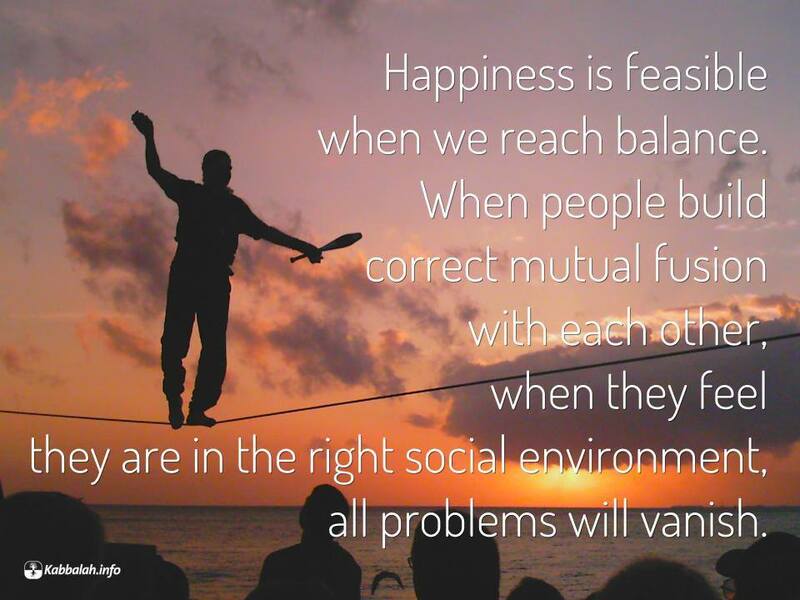 If we would reach such a balance, we would see that the sum of all our efforts and actions to positively connect would invite an additional force that we cannot access in our current individual modes of operation. This different kind of additional power is a force dwelling in nature, a force that we can tap into if we connect in the way that nature is connected. By doing so, we would as if invite new wisdom and thoughts from from a higher dimension, gaining the ability to perceive and sense beyond time, space and motion, because through our joint effort, we would enter into a degree of congruence with nature’s interconnectedness and interdependence. If we could gather a group of people who would truly make this “click” with nature, i.e. that the group’s members would ascend to such connection with each other as is required by the collective network, then they would find themselves actively pioneering the shift into the next dimension toward which nature is developing all of humanity. According to our current developmental point as humans in this system, we are on the animal level of existence, and nature is pushing us to realize the human level of existence. At the animal level of existence, we have concern solely for our own individual bodies. If we could shift our concern away from our bodies to concern for society as a whole, then we would discover a whole new dimension of collective wisdom, intelligence, attainment, and experience a harmonious and happy life in balance with nature. The world is projected by our #consciousness. By changing consciousness you change the world, sensing a different time, space, motion. We stand before a consciousness revolution, whether we want it or not. As #consciousness changes, we'll perceive/attain world in a new way. 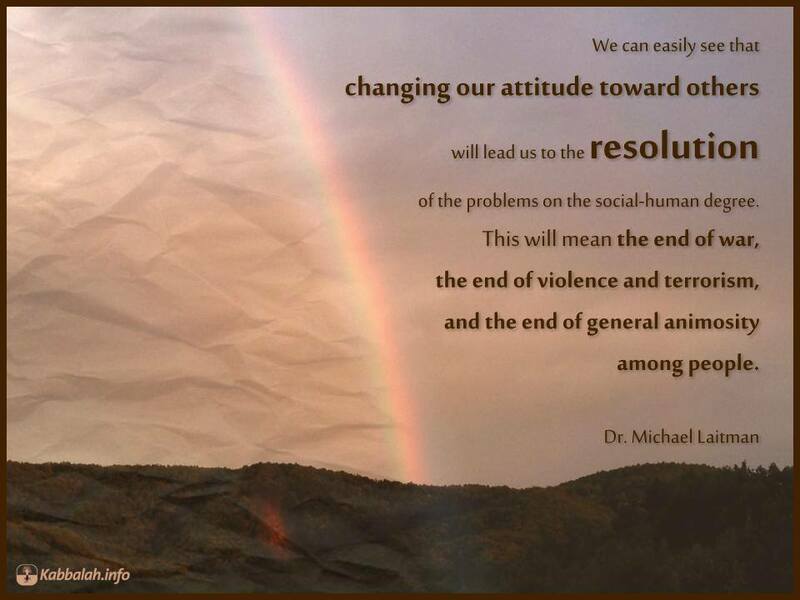 Dr. Michael Laitman’s speech at the World Wisdom Council meeting in Tokyo, Japan, “Creating a New Civilization” – November 2005. Prof. Ervin Laszlo talks with Dr. Michael Laitman about the need for a critical mass of people to affect positive global change. The collective unconscious unites all of humanity and unconsciously transforms our civilization into a single body. The development of human society has gradually reached a blind alley, and a process of withdrawal and degeneration has begun. In general, a new stage in the development of society happens on a more instinctive and unconscious level during revolutions and crises. This is because the higher force that drives humanity toward development is beyond our reach—it is nature’s force of love and bestowal above our individual perceptions and sensations, and from us to that force—there has been the power of the collective unconscious. The world is tired of despicable and alienated attitudes. In a time of turmoil, a dead end, or crisis, a powerful force always arrives and, which through suffering, forces humanity to take a step forward into the unknown. In our era, after the transition to the new situation, the collective unconscious will be replaced by a collective consciousness that strives and aims toward resembling nature’s force of love and bestowal, which is the higher level. Therefore, the mind is a sum of wandering signals that fill the system of connection between separate elements, people or souls. Of course, there is what is revealed to the souls and what is not yet revealed. Therefore, we can discuss the subconscious since there are four levels of revelation in each one of us and only the last level gives us total conscious existence, meaning that all the previous levels reside in the subconscious level. If they come from us, then we can manage them; if they come from above, then we practically don’t feel them. There is, however, a possibility to foresee them. This is not fortune telling, but some prescience, some actions that cause the appearance of reason, that give us an idea of the subconscious, the inner mind. Question: What does it mean to rise above your consciousness and which path leads to it? Basically, can we influence the scope of our consciousness by simply wanting to expand it? There is no dearth of research on this topic within every sector of science. And now here is the owners manual, the instructions for merging ourselves into nature and her infinite supply of altruism, unity and balance. Thanks for this great site! As said above, the next Human evolutionary phase will be the attainment of a collective consciousness. Imagine what the world would look like…no more wars, pollution, or lack of any kind. Were I to have seen some of the concepts discussed on this page but 50 years ago, I might have laughed out loud. However, experiment and theory in physics and psychology since have evolved to such an extent along these lines, literally at the forefronts of science, that minimally I must take these concepts as probably being correct. Specifically, simulation theory–whether one ascribes approach through biocentrism, holographic theory, a zero-dimensional quantum-information reality, the “quantum of consciousness,” etc., would seem to lead on an inevitable path to what is discussed above. One important particular is the collaboration of Stuart Hameroff with Roger Penrose on a theory of the seat of the portal of human consciousness in the body being through quantum-collapse. This led to the hypothesis and experimental demonstration of the quantum fluctuations in the microtubules ubiquitous to cellular and higher life, and particularly the nervous system and the brain. Further, Hameroff demonstrated that anesthesia at a specific threshold level immediately shut down those fluctuations. [This may have solved at least four classic mysteries of medical science regarding nerves: Firstly, how anesthesia even really works regarding both humans and animals—any anesthesia. Secondly, when signals are conducted along nerves, they travel with the same speed throughout—no acceleration, no slowdown. Thirdly, if there is a nerve impulse, it is at a specific intensity—exactly that or nothing. Finally, if there is any section of nerve at all, no matter how short, that reaches a specific concentration threshold of the anesthetic; there is absolutely no nerve signal. If less than that concentration—even across the whole nerve, neither speed nor intensity of impulses are diminished. A second is a well-argued theory by Donald Hoffman, Prof. of Cognitive Science, University of California, Irvine. In this, it is proposed that reality actually consists entirely of conscious agents in interaction in such a manner that groups of them actual form larger singular agencies, and so on up. Whatever may be above our reality, that reality is apparently pure information, in one-to-one correspondence with digital representation. It is powerful evidence for Leibniz’s principle of the identity of indiscernibles, itself identical with the concept of similarity of form. Further, the now well-acknowledged fractal nature of real-world geometry implies with an identity of general and component, whose culmination at the human level would be a culmination as collective consciousness. It used to be said that all roads lead to Rome. It now appears that they really lead to collective consciousness. Thank you for this information! It is like we are all walking around with our eyes closed, not realizing that there is so much more to life and our existence. The time has come for humanity to wake up our collective consciousness and break the cycle that we have been in. It is time to evolve together to our next level! The information that is collected here agrees with what we learn from biology, zoology, cosmology or any other science researching the natural Universe. It is clear that life cannot exist, problem solving, survival is impossible without the intricate, mutually responsible and mutually complementing cooperation of all the comprising parts of the living system. Can we imagine an ant or a bee acting by individualistic calculations, establishing separate fractions, groups within the colony/hive? Can we imagine a lion, antelope or any other inanimate, vegetative or animate element of the “circle of life” deciding that they do not want to fulfill their crucially important, irreplaceable role within that circle? Still when we look at ourselves – despite consciously knowing, accepting, concluding all of the above – we, Human beings (part of the same species) believe that we can live, solve problems and survive individually, ruthlessly, exclusively competing against one another, succeeding at each other’s expense. This is truly mind boggling! The qualitatively highest creature in evolution convinced itself that it can go against the “iron laws” of Nature and can still survive! 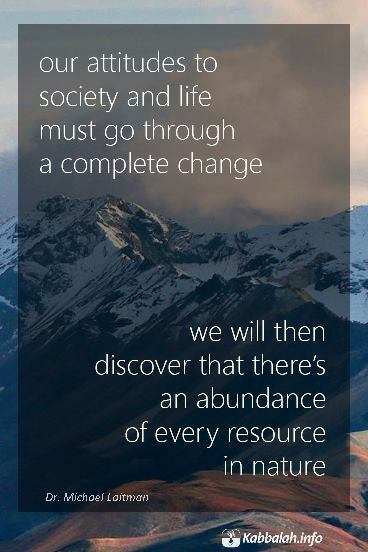 And as we observe ourselves today – as we keep stumbling from one historic vicious cycle to the next, how we are helplessly sinking into an unsolvable global crisis that affects every level of human activity – we can finally accept that without building an unprecedented mutuality, without acquiring a collective mind, consciousness we won’t be able to solve problems and survive. Thus any attempt to educate ourselves towards this next Human evolutionary phase is welcome. Such education is a survival necessity!